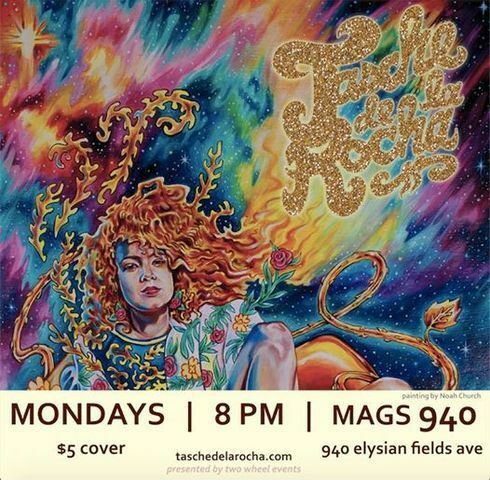 Tasche de la Rocha is starting a new weekly residency on Monday nights! Each Monday she’ll be bringing you some of her music you already know and love, as well as debuting new material. Sometimes she’ll be solo, sometimes there’ll be guests. Either way, it will be a great time!